The Pokémon possessing the power of the aura returns to Project M, only this time, with a much better moveset. 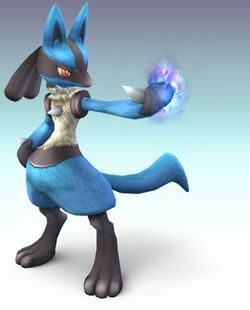 Lucario went through one of the, if not the, biggest sets of changes from the transition to Project M. The most notable one is its change in fighting style to that its power is no longer based on damage sustained (which resulted in its status as a glass cannon back in Brawl, due to amazing power received at high percentages and low stocks at the expense of being much easier to KO); instead, it now has a new system to it. This page was last edited on 15 April 2016, at 15:18.